With Valentine’s Day quickly approaching, pediatric cancer patients at MD Anderson designed a unique piece of artwork to honor their furry and loveable friends. Yearlong, patients participate in the Children’s Art Project, a hospital-based program that features their artwork on gift merchandise. The best part— sale proceeds support important education and recreational programs for children and their families. 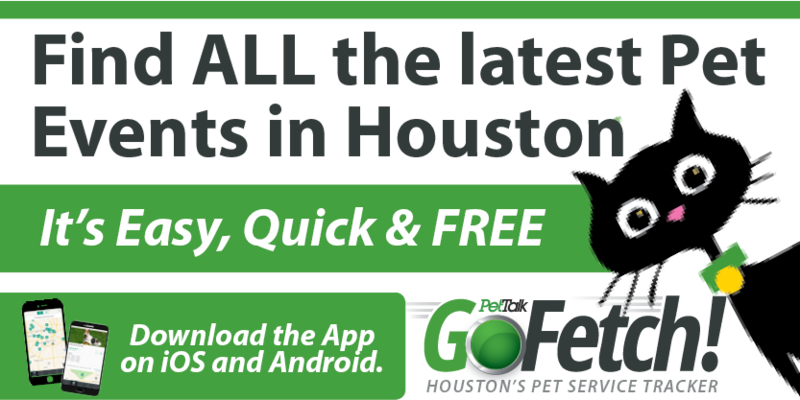 Because so many of the children are pet lovers, animal designs are always at the top of their list. Combine that with the excitement of Valentine’s Day and the fun is just beginning. 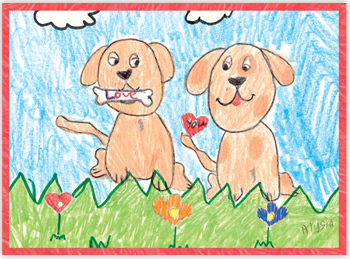 This year, one creative patient named Alysia used crayons and markers to craft the “Puppy Love Greeting Card.” It features a portrayal of two dogs’ side-by-side with one holding a bone that says love. All gifts can be purchased online at childrensart.org, by calling 1-800-231-1580, or by visiting the Children’s Art Project Boutique in the Uptown Park Shopping Center. Each purchase helps make life better for children with cancer.